Distribution lists may need to be deleted. Easily delete distribution lists as they are not longer needed. 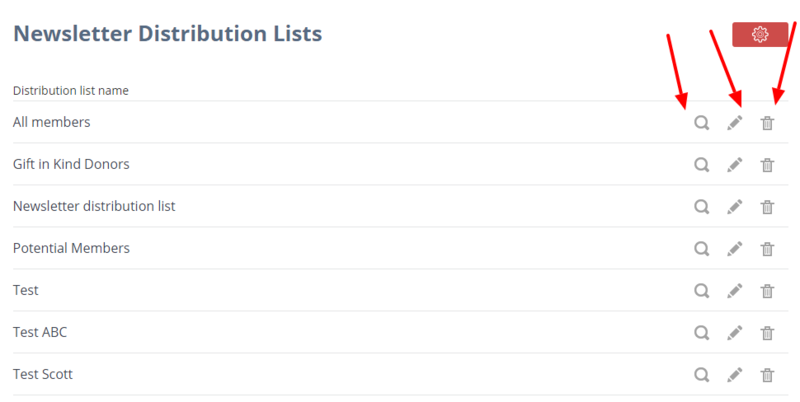 This will aid in keeping keeping the lists current.
. Click the red Administration icon and select Distribution lists. 4. In the Delete Distribution List window, click Yes to delete.